A family day trip to London may not be everyone’s idea of a good time. Busy roads, overcrowded transport, expensive attractions and swanky restaurants all seem too much with children in tow. It can be a challenge to find things to do that the whole family will enjoy. However, hundreds of families now select stay-cations over holidays abroad. London is quickly becohming a top choice for families looking for a fun, interesting and unique day (or days) out. 22 miles of man-made tunnels in Chislehurst, which is in the southeast suburbs of London. Due to their location, this particular attraction can tend to be quieter, even in tourist season. The caves have a checkered history. They are first mentioned as far back as 1250, and were originally used as chalk and flint mines. The caves have also been used as an air raid shelter, music venue, and for mushroom cultivation! Touring the caves offers a fascinating step back in time and your children will adore it! However, beware if you are planning to take pushchairs as the cobbled floor surfaces make for a pretty bumpy ride! 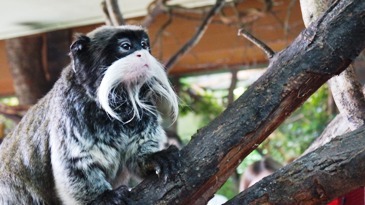 London Zoo is smack bang in the centre of the capital, right next to Hyde Park. One of the best attractions in Britain, it covers around 36 acres. It’s open every day (apart from Christmas) and is fantastic, even in wet weather. And that, let’s face it, is always a concern in England! There are over 750 different species of animal in residence, therefore it’s very likely you’ll see some of your favourites! These include the mighty gorillas in gorilla kingdom and the majestic big cats. Keep costs down by taking a picnic and eating it in one of the designated picnic areas. Or take advantage of the excellent on-site catering facilities. For the uninitiated, Tate Modern is a modern art gallery in London and is the most visited art gallery in the world. It’s premises are a former power station in the Bankside area of London. Whilst not an obvious children’s venue, we can guarantee they will love it as they form their own unique interpretations of the art on display. In addition, there are plenty of family activities on offer. These include an interactive zone, which encourages children to become familiar with modern art, a sketching room for them to capture their own modern art ideas, and an activity room. As a result, there really is something for everyone! A trip to this world-famous theatre is a must for any families with children about to study Shakespeare, or for anyone wanting to bring Shakespeare to life. 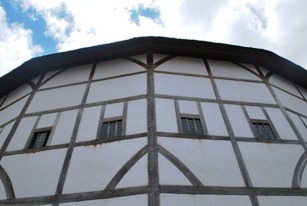 The original Globe theatre burned to the ground in 1613 during a performance of Henry VIII, but nearly 400 years later was re-built using construction methods and materials very close to the originals. Take a tour around the theatre to see the world’s largest Shakespeare exhibition, or book tickets to see a performance of Shakespeare that even younger children will understand and enjoy. This museum is much more fun than it sounds! During a visit to this museum you will learn how much loved brands grew and evolved through the creative use of packaging and advertising, and how this helped Britain grow and evolve in turn. There are several fun exhibits and activities going on during the summer holidays for your children to take part in. Somerset House overlooks the River Thames and is a major arts and crafts centre in the heart of London. During the summer months you will see an array of fountains dancing in the courtyard. During the winter, skate in the open-air rink. 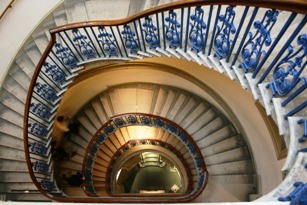 Somerset House also houses several art and design exhibitions, free displays, family workshops and guided tours. Part of the Royal College of Surgeons, the Hunterian Museum is a fascinating day out that will captivate and interest the whole family. Children are welcome in the museum and there is plenty of interactive and hands-on material for them to get to grips with. There are also school holiday activities specifically for children, with sufficient gross medical facts to keep any kids who love ‘Horrible Histories’ thoroughly entertained. Head to this urban beach for a wide array of activities that will capture your imagination. Summer features festivals, and winter–particularly the Christmas season–features stunning views over the Thames. Kids will love the SEA LIFE London Aquarium and Shrek’s Adventure!, and the grown-ups will enjoy perusing the Southbank Centre Book Market. For children with an interest in history, schedule a stop at the Florence Nightingale Museum to learn more about the lady with the lamp. And if you all love a bit of a scare, nowhere does it better than the London Dungeon. Somewhere a little bit different! The Times call this museum the second of their top five museums in the London. Its premises in an old banana warehouse is on the banks of the Thames. Even the toilets are amazing, attracting visitors from all over the world! All family visitors to the museum can pick up a family trail at the admissions desk. Led by the Thinkerer (the official family guide), the trail takes young designers around the museum, setting them fun tasks and challenges along the way. If you happen to visit on a Sunday, your budding young designer can go to a ‘design and make’ workshop in the afternoon. This is where they can hone their skills and create to their hearts content under the guidance of design experts. One of five branches of the Imperial War Museum, the original cabinet war rooms are deep beneath London’s busy streets, right below Whitehall. Consequently, the rooms are not for the claustrophobic. 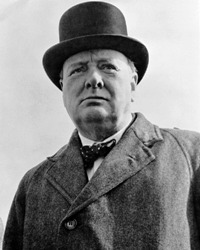 Churchill’s war room was the location from which he said, “This is the room from which I will direct the war.” The war rooms became operational in August 1939, just days before Britain’s declaration of war on Germany. The museum is a biographical insight into one of Britain’s greatest leaders. And there you have it! 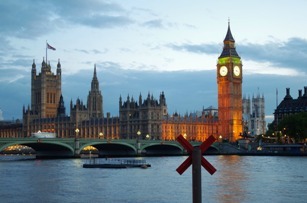 No matter how long you’re visiting London for, there is so much to see and do that you’ll have fun no matter what. If London really is your speed and you’d like guaranteed time there every year at today’s prices, you would be well-advised to consider purchasing a timeshare. Our experts have a combined industry experience of over 150 years, so it’s safe to say that you’ll be well looked after. Don’t delay – enquire today!